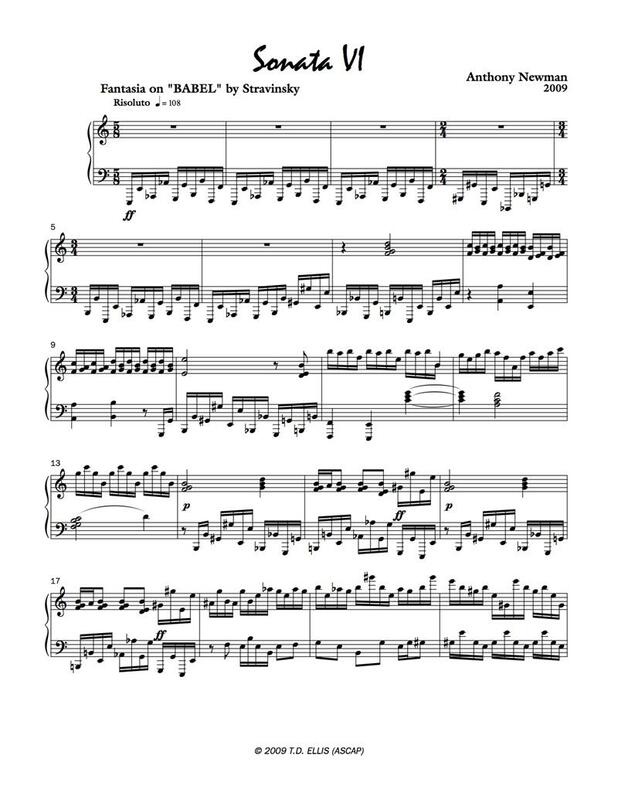 The first movement is a harmonic variation on parts of a Stravinsky piece called Babel. 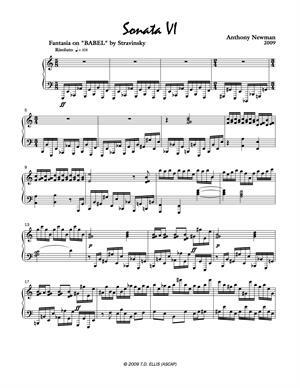 The second movement is completely lyrical utilizing polytonal chords with a melody that switches hands. The technique of theme and variations is the entire third movement. it is based on an original theme followed by 12 variations.